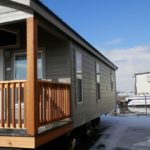 The Saint Joe is on Sale! 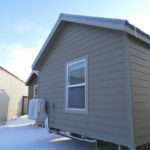 | Was $61,147 | NOW: $43,658! 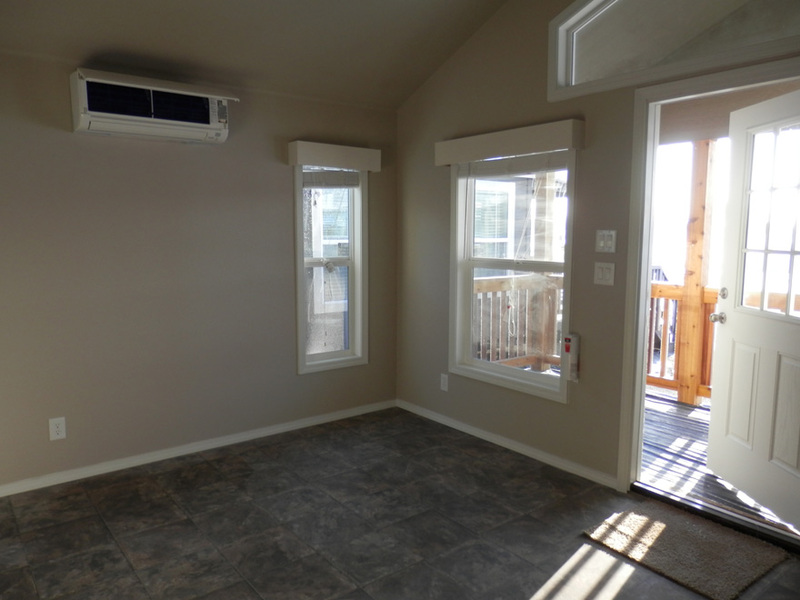 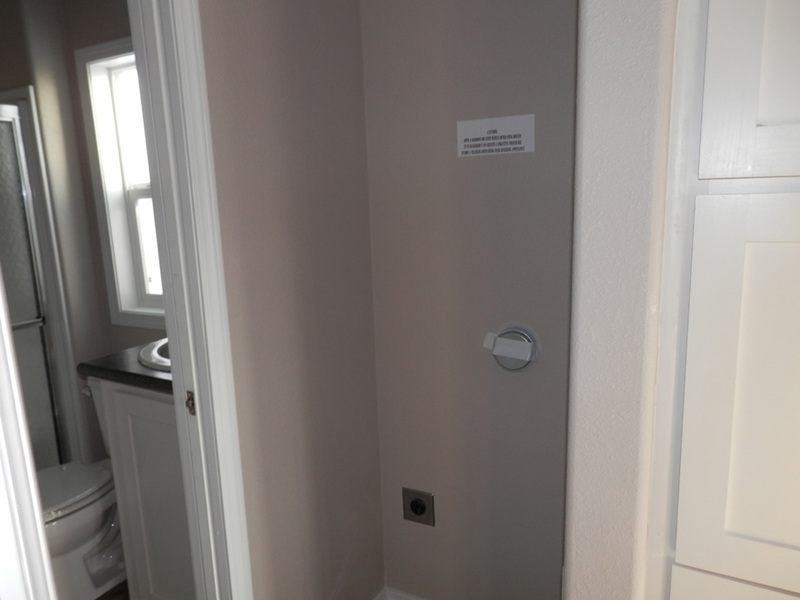 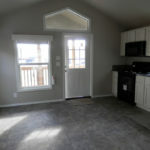 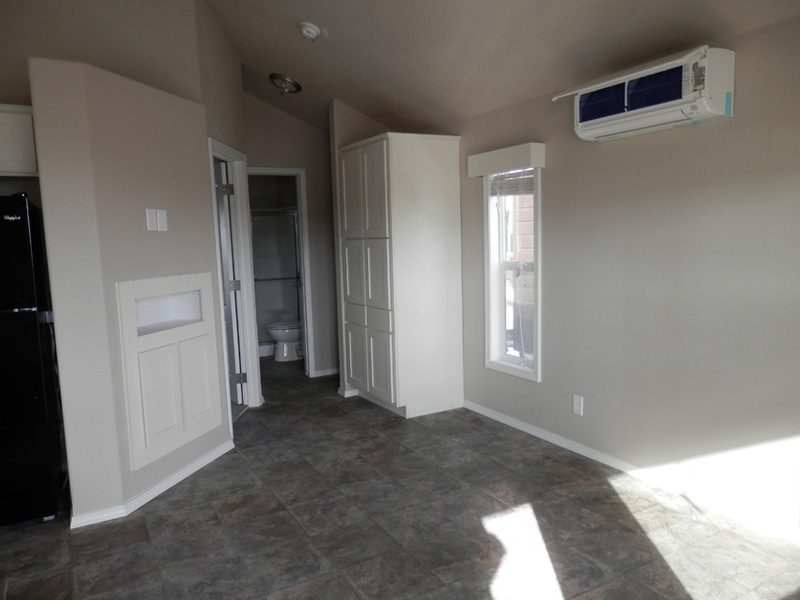 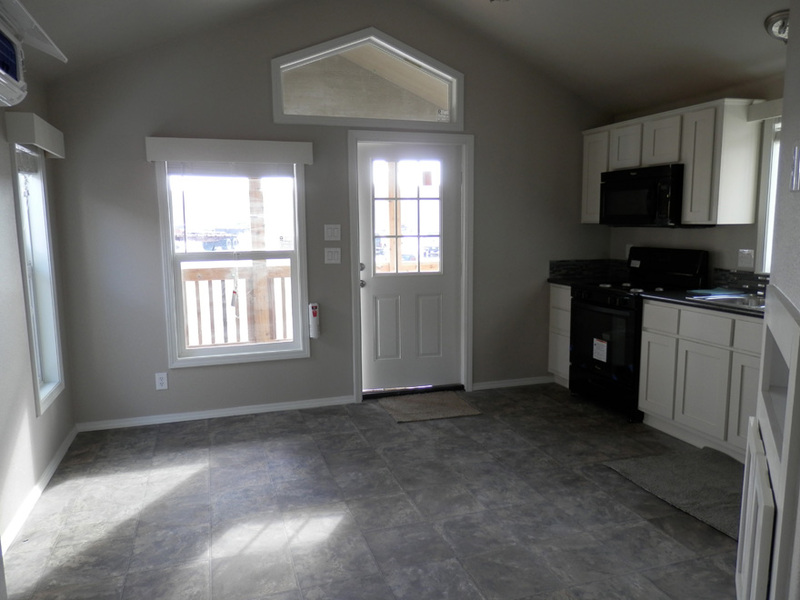 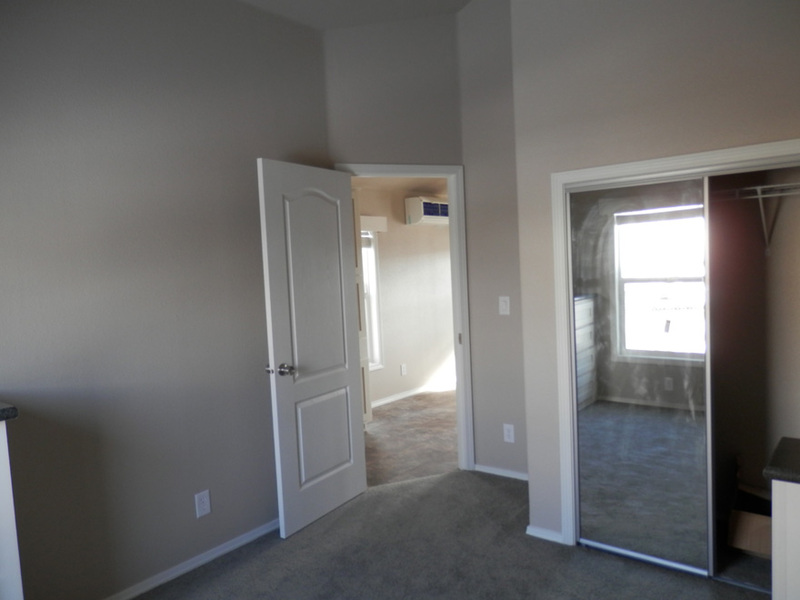 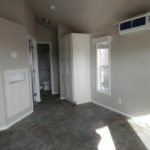 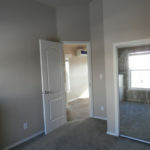 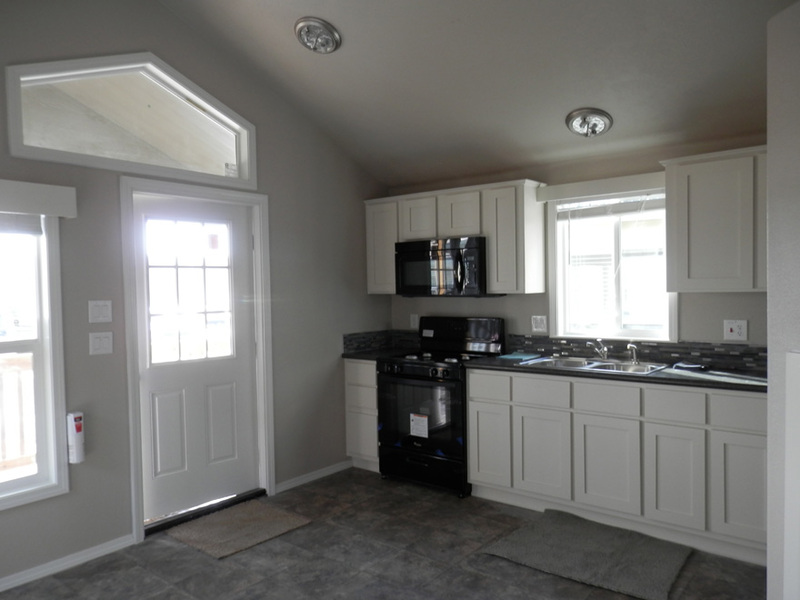 The Saint Joe model has 1 Bed and 1 Bath. 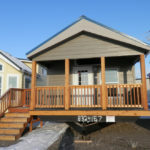 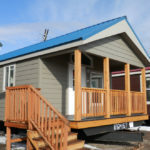 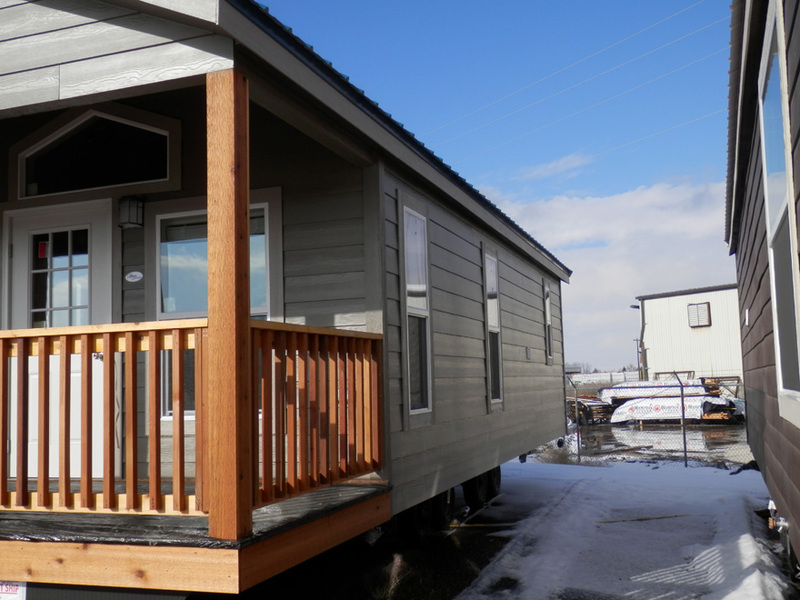 This 399 square foot Park Model RV is available for delivery in Washington, Oregon, Northern California, Utah, Idaho, Nevada, Montana, Wyoming, North Dakota, South Dakota. 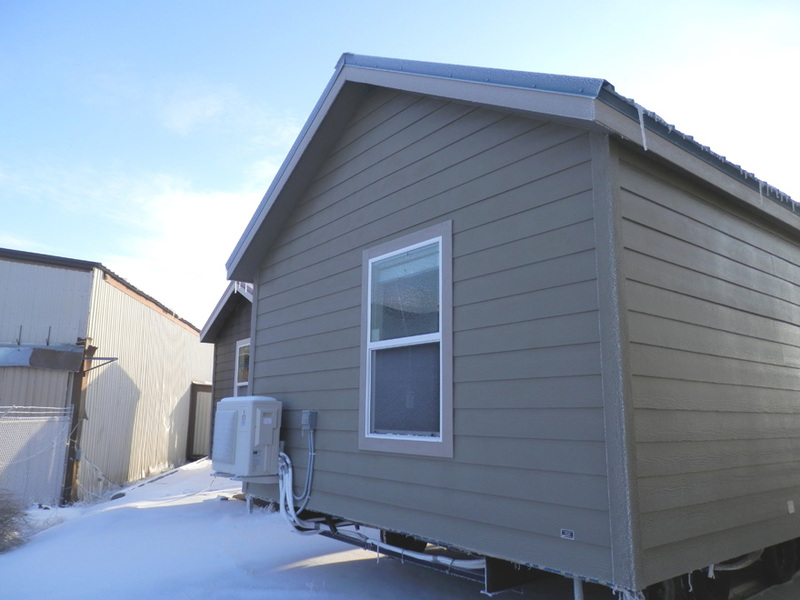 Options shown are blue metal roof, CemLap siding and the door and window are flipped from original floor plan. 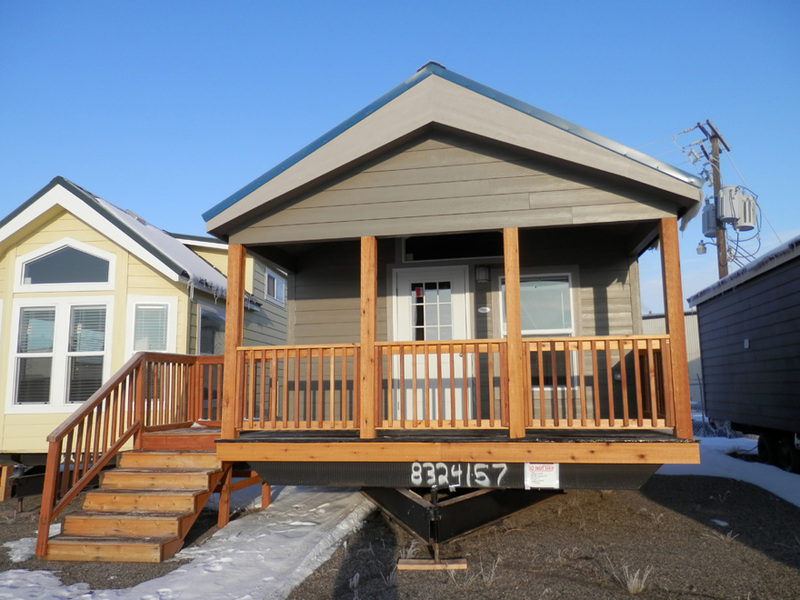 Front with 6′ covered porch. 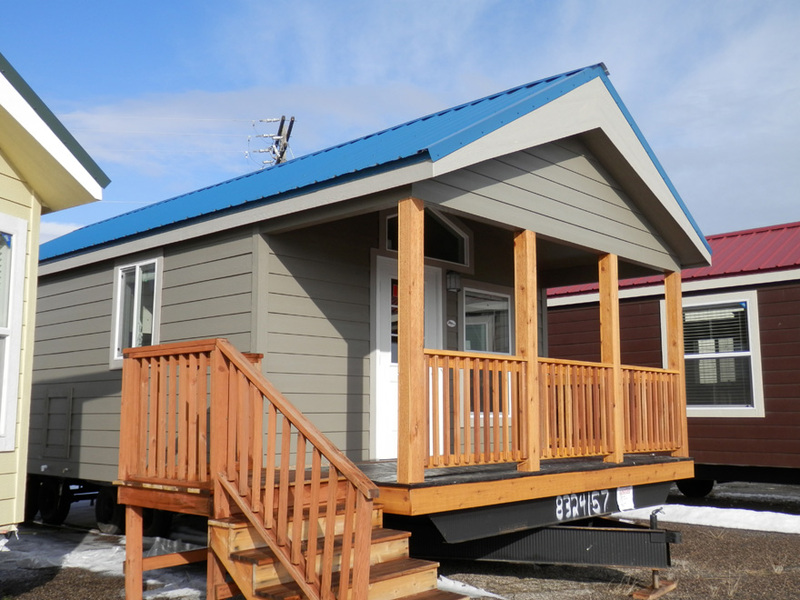 Options shown are blue metal roof, CemLap siding and the door and window are flipped from original floor plan. 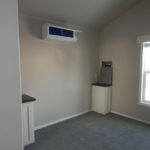 Options shown are CemPanel siding, blue metal roof and electric mini split heating and cooling system in lieu of gas furnace. 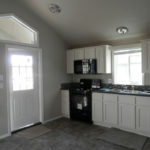 Kitchen with standard black appliances. 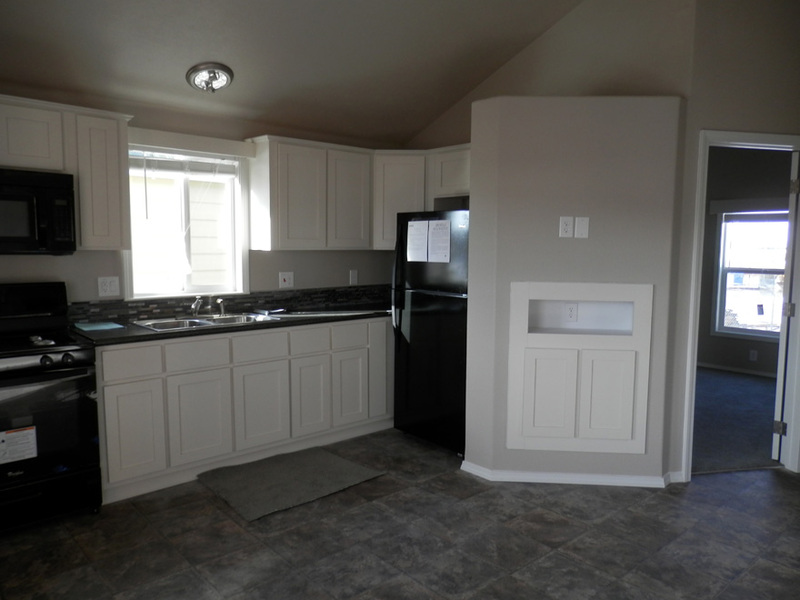 Options shown are space saver microwave, upgraded cabinetry in White Shaker, upgraded countertops in Ebony Eclipse and 6 inch decorative backsplash in Acropolis. 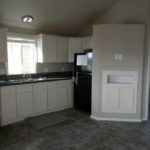 Options shown are space saver microwave, door and window are flipped from original floor plan, upgraded linoleum in Boston, upgraded cabinetry in White Shaker and upgraded countertops in Ebony Eclipse. 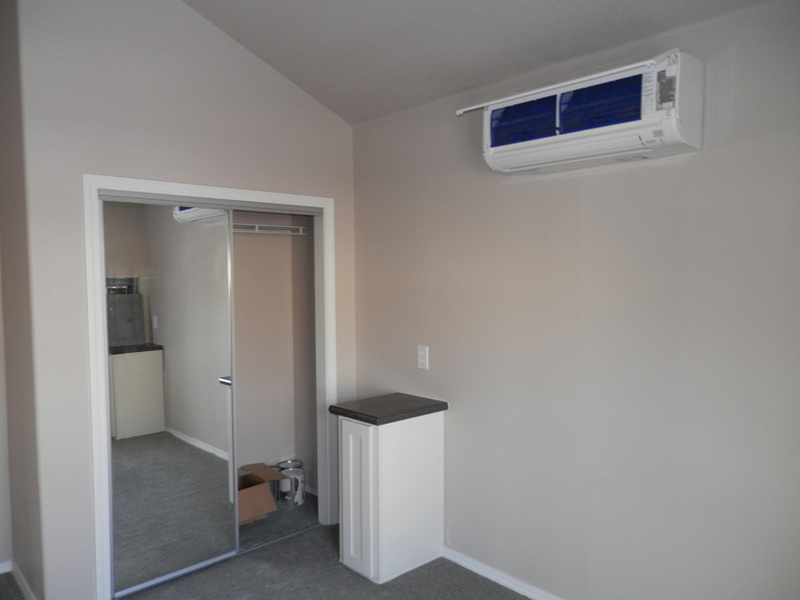 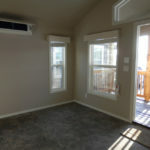 Options shown are upgraded linoleum flooring in Boston, electric mini split heating and cooling system, and door and window have been flipped from original floor plan. 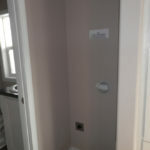 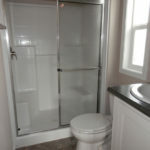 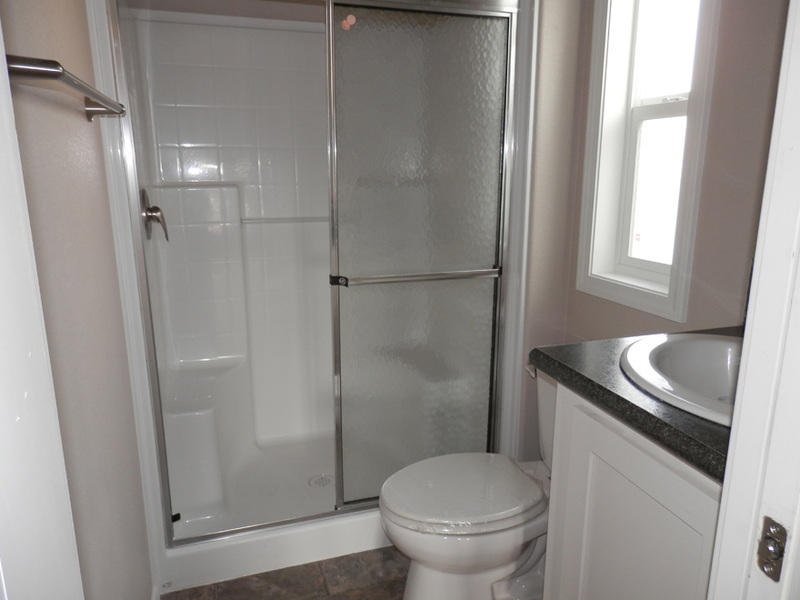 Bathroom showing tape and textured interior walls, porcelain house toilet and 48″ 1-Piece fiberglass shower. 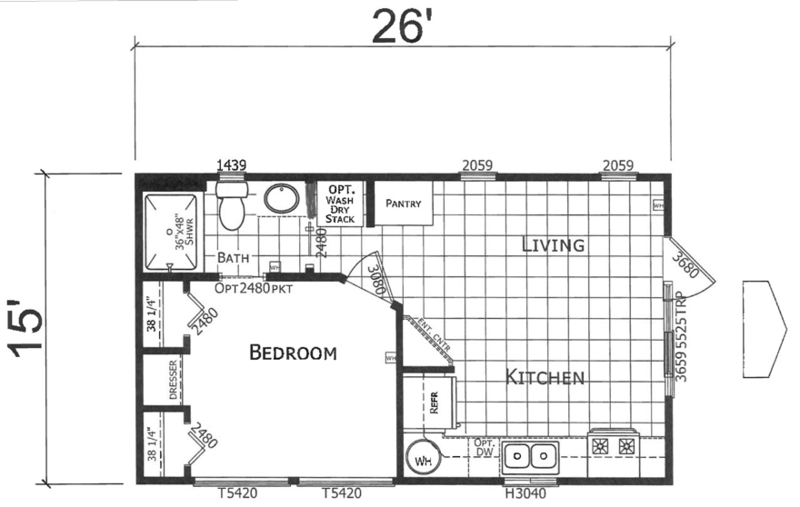 Living room with entertainment center and pantry. 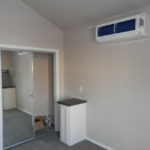 Options shown are upgraded linoleum in Boston, upgraded white shaker cabinetry and electric mini split heating and cooling system. 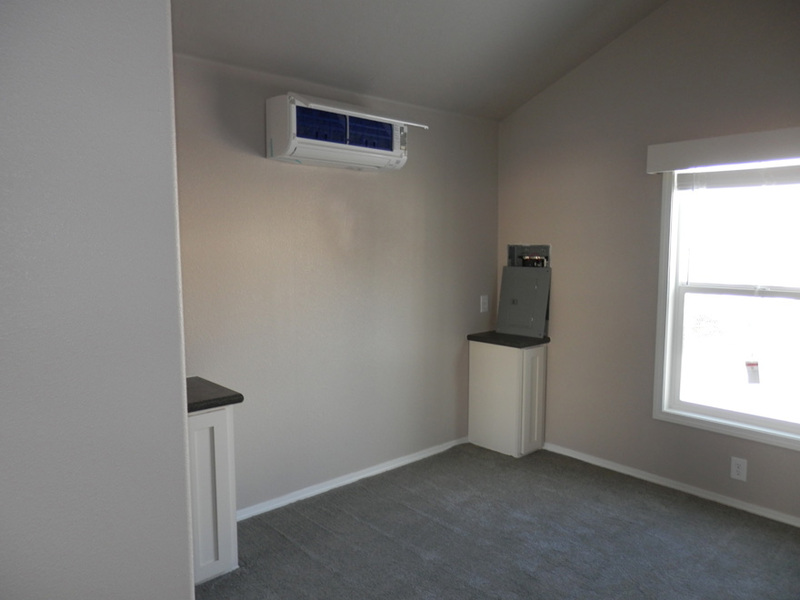 Ask your housing consultant about the other great features that come standard on the Saint Joe.